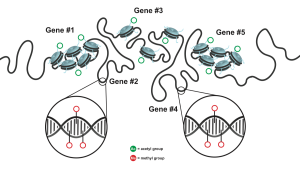 In this module, students will explore the topic of the epigenome: the master code that our cells use to decide how and when to use their 24,000 genes. Students will develop an understanding of the complexity of genetic regulation and learn how our cells manage genetic information. A hands-on DNA extraction serves as a physical demonstration of how much DNA cells need to handle and introduces the concept of genome packaging. 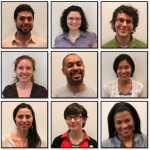 A Powerpoint-based team activity helps students investigate evidence that environment and lifestyle choices may affect the epigenome and lead to disease. From queen bees to men in space, this module highlights striking examples of how epigenetic instructions can change the way our cells use their genes. Our immune system is designed to protect us from any potential pathogen that may invade our bodies. 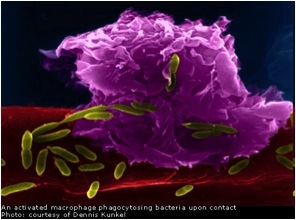 How can our bodies anticipate and defend us from pathogens? How do vaccines protect us from infection? What about antibiotics? How do they work and what are their limitations? This module will address these questions and will give students an understanding of the two major arms of our immune system: innate immunity and adaptive immunity. Students will participate in two interactive games that demonstrate how antibiotic resistant bacteria come into existence and how vaccines work. Lastly, this model will explore the importance of vaccines for public health. 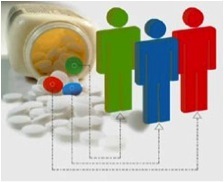 In this module, students will learn about the concept of ‘personalized’ medicine; how differences in our genes affect whether a drug treatment will be successful or have serious side effects, and how we can use this information to customize treatments for individual patients. Students will participate in a hands-on activity to further demonstrate how subtle genetic differences affect a patient’s response to medication. In the forensics module, students learn how DNA is analyzed by forensic scientists in order to link a DNA sample to a particular individual. 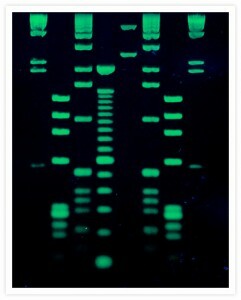 To do this, forensic scientists use powerful molecular biology techniques such as PCR, restriction digests and gel electrophoresis. To learn more about DNA and how it is used by forensic scientists, students will isolate their own DNA from saliva! Using their new-found understanding of DNA and forensics techniques, students will help solve the case of the missing mascot. Whodunit? In this module students learn the ins and outs of the human genome – what makes us each unique, how traits are inherited, and how Genome Wide Association Studies (GWAS) are helping to identify genes responsible for complex human diseases. Hands on activities include the Genetic Wheel (which shows how inherited traits make each of us incredibly unique) and a GWAS activity where students get to identify a genetic marker contributing to a human disease. Students may know that our DNA sequence can become damaged due to genetic or environmental factors, and this can lead to disease including many forms of cancer. 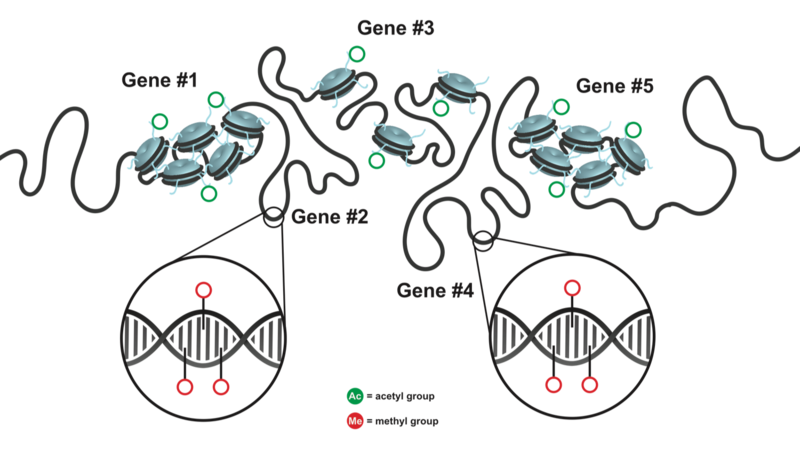 This module explores several built-in protection mechanisms our bodies use to prevent and repair damage to DNA. 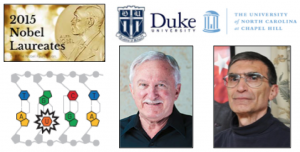 In 2015, Dr. Aziz Sancar from UNC Chapel Hill and Dr. Paul Modrich from Duke University were awarded the Nobel Prize in Chemistry for their work on understanding DNA repair. Students will extract their own DNA from saliva and analyze REAL data from Dr. Sancar’s Nobel-winning research.